Golly gosh! Skream makes a dash forward with two stunning cuts for Instra:mental's Nonplus imprint, remixing their 'No Future' cut from Nonplus #001, backed with the extraordinary 'Minimalistix'. 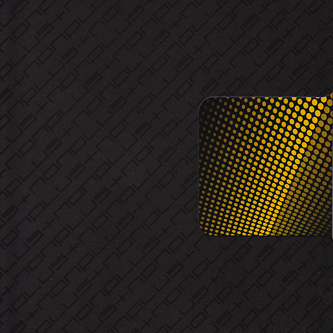 For the better part of '09, Martin 'Blackdown' Clarke has been threatening Skream's detractors with promises of future-leaning gear to make up for the ruck of bigger productions in the wake of early growth spurts, and we reckon this must be what he's talking about. The mix of 'No Future' is still typically Skream, but hones the formula to critical levels, flipping the tech-stepping original into a gleaming half-step standard with dance killing results. 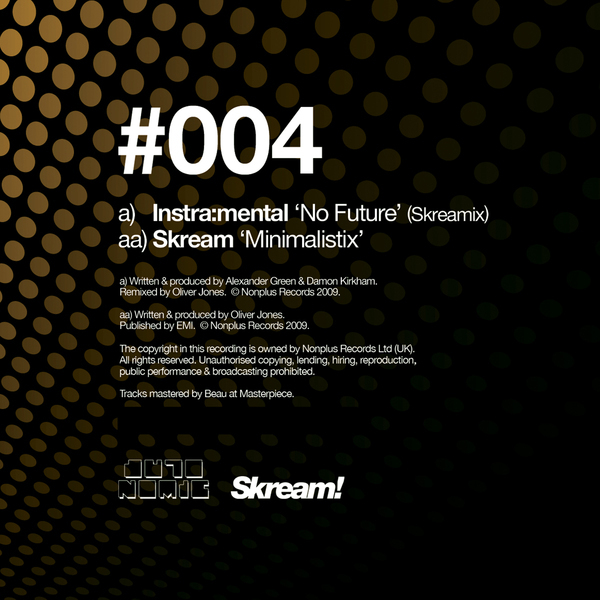 'Minimalistix', however, is the hopeful sign of things to come, sounding like Skream has placed his production in a vacuum, literally siphoning off any extraneous elements as the tracks progresses until we're left with a lean motorik skeleton flexing against the drag of suction with super-enhanced and streamlined syncopations. Hands down, this is the best record Skream has produced in ages and comes with our highest recommendation.